Utah-based Thought Lab works with local, national and international clients seeking inventive branding, refreshing visuals and thought-provoking marketing campaigns. 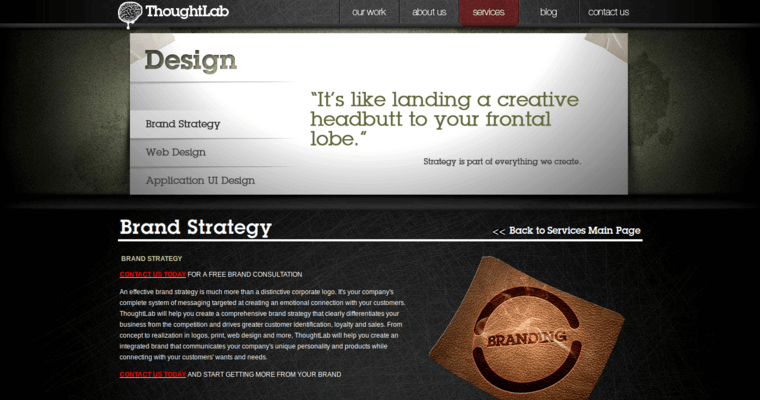 With its feet firmly planted in the digital realm, Thought Lab offers web design and development, user experience design strategies, graphic design, mobile design, experiential marketing and video content. 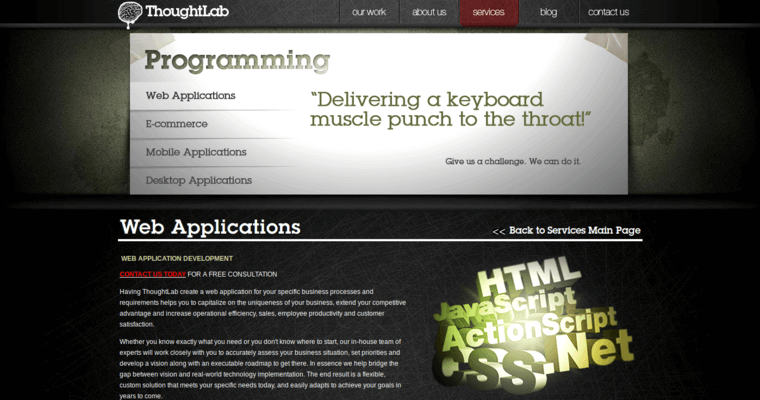 Highly engaging and modern, Thought Lab's projects include brand strategy and graphic design for eBay, custom development and marketing for All Kinds of Therapy, mobile app and user experience design for Blendtec as well as custom development and marketing for Envision Utah, among others. With locations in New York City, San Francisco and Salt Lake City, Thought Lab provides clients with access to a diverse talent pool. 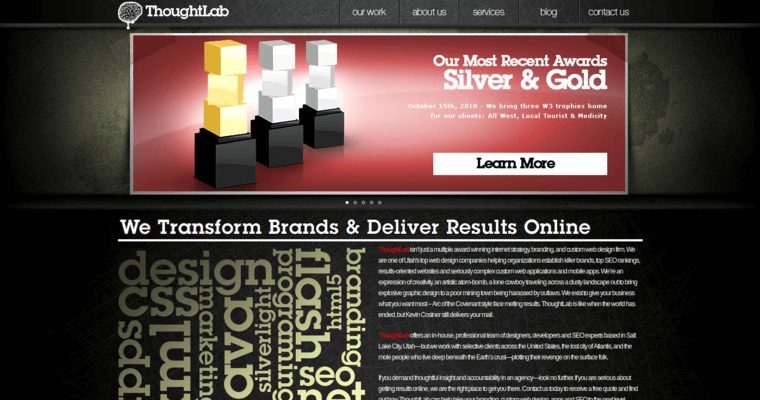 Thought Lab's talents are on full display on their webpage, where they offer prospective clients a look into the Lab's creative process and playful energy all the while maintaining their focus on results.